Bathed in warm sunlight and soothed by balmy ocean breezes, most cruise ship passengers never consider the possibility of danger or serious accident. Unfortunately, accidents, injuries, and illnesses are not uncommon on cruise ships, where inhibitions are dropped, alcohol consumption is encouraged, and people are kept in close quarters. 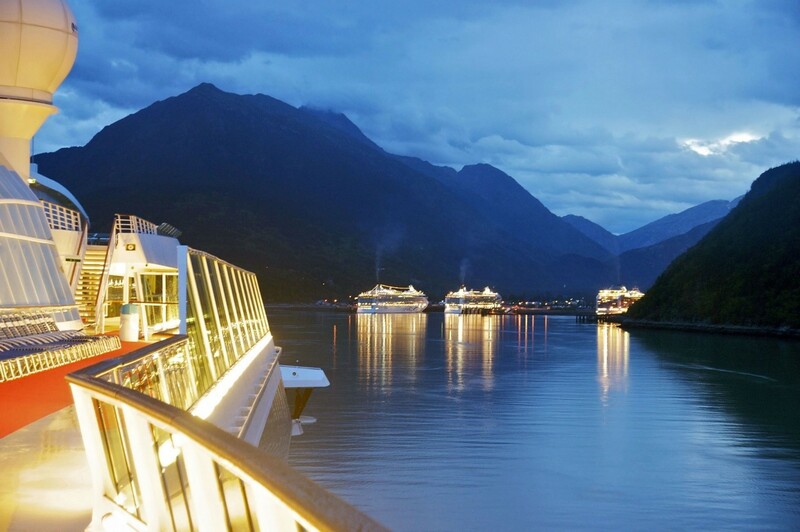 Cruise ships are worlds of their own, with many variables and moving parts. As such, accidents can and do happen all the time, and every year, there are reports of illnesses, fires, injuries, and death. When you or a family member is injured on a cruise ship, the accident does not just impact your vacation – it can impact your life. Accidents often result in costly medical bills, lost wages, and lifelong injuries. If your injury was caused by a crewmember’s negligence or unsafe conditions, you need to hold them accountable so that you can receive fair and just compensation. Cruise lines have a responsibility to care for their passengers, but sometimes they require a little push to live up to this standard. 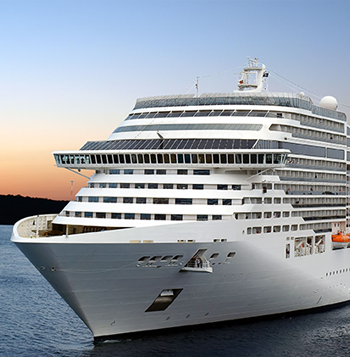 If you or a loved one has been injured due to unsafe conditions on a cruise or a crewmember’s negligence, consult with a cruise accident attorney immediately. 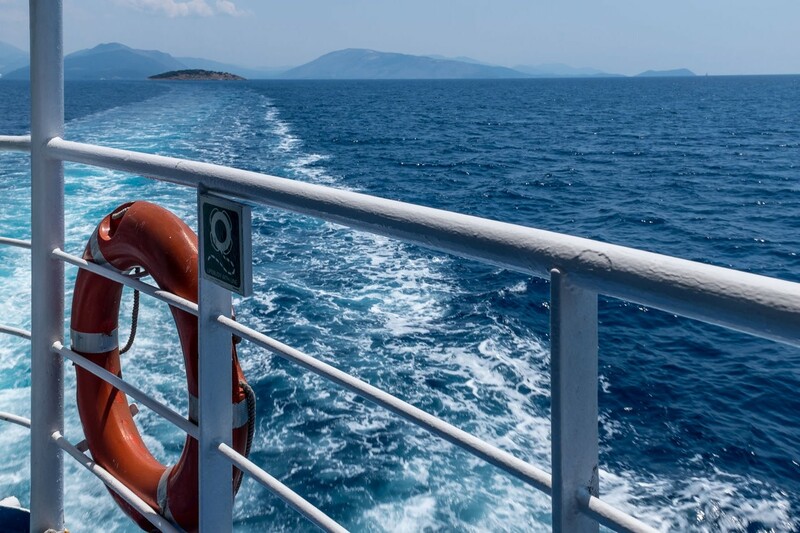 An lawyer with experience in maritime law and cruise accidents can help you pursue justice for your injury, obtain compensation for medical bills, lost wages, and overall pain and suffering, and make future cruises safe for everyone by forcing bad practices to change. At Lawlor, White & Murphy, our certified maritime attorneys have been helping families fight back against major cruise lines for more than 40 years. Pulling from our extensive experience and resources, we have worked with countless clients to obtain the compensation they need to recover. Do not suffer in silence – contact the law office of Lawlor, White & Murphy to start defending your rights today. Accidents and injuries occur all the time on cruise ships, the vast majority of them completely preventable. However, when cruise lines neglect to maintain safe facilities or prioritize their passengers’ well-being, preventable accidents can cause serious injury and harm. Below, we have listed some of the most common accidents and problems that occur on cruise ships due to negligence. Water is a constant when you're on a cruise. 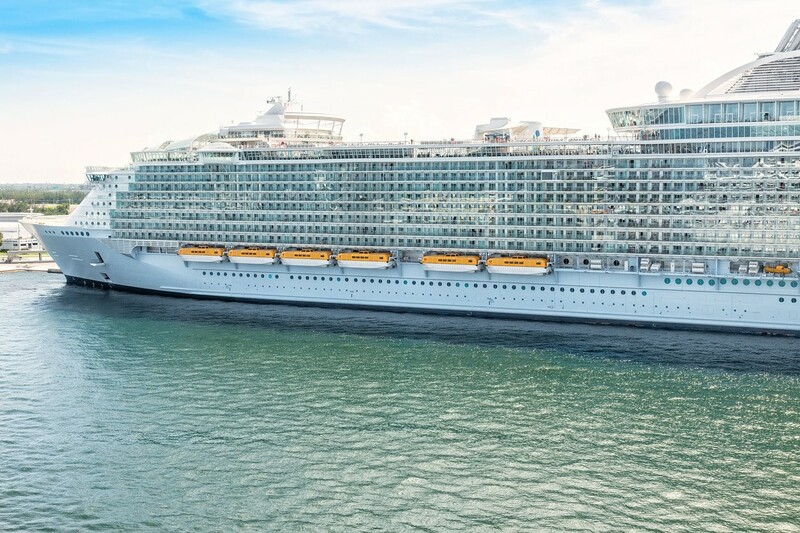 Not only are you surrounded by the ocean, but today's cruise ships are also practically floating water parks, with pools, hot tubs, water slides, and more. 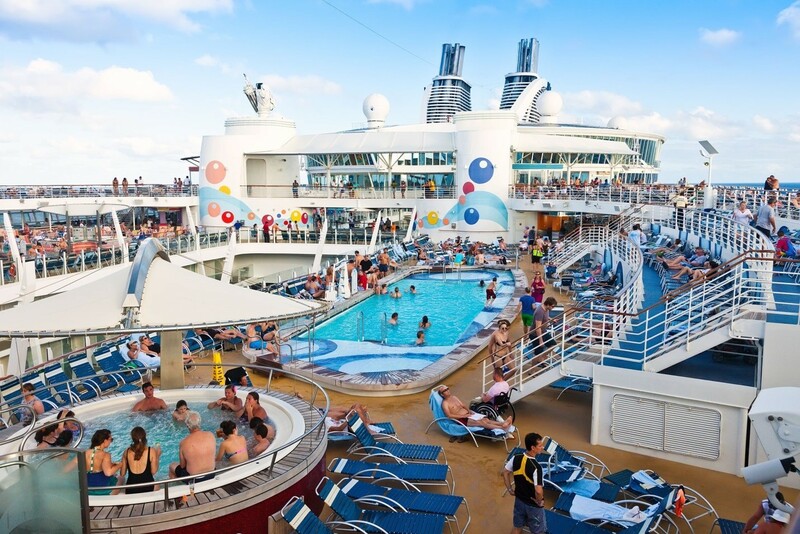 In fact, the only thing that many cruises don't have on board is lifeguards. Perhaps that's why there are instances of people (mostly children) drowning on cruises every single year. Cruise lines should not be allowed to continue engaging in unsafe practices like this, but the only way to change them and make sure no more people suffer is to fight back. A significant portion of cruise ship injures occur during onshore excursions to cruise ship destinations. Such excursions often include high-risk activities such as zip-lining, parasailing, and rock-climbing. Cruise lines can ensure such excursions are thrilling and injury-free by providing safe equipment, training staff, and complying with safety regulations. When they neglect to do so, the opportunity for serious injury increases. The close quarters of cruise ships allow illnesses and bacteria to spread very quickly, so a single batch of bad food can result in hundreds of passengers getting sick. Food poisoning may occur on cruise ships when food is not handled properly, low-grade ingredients are used, or refrigeration systems malfunction. Over the years, there have been numerous reports of fires aboard cruise ships, many of them claiming the lives of passengers and crewmembers alike. Cruise ship fires can be particularly catastrophic, since there are so few routes for escape. Oftentimes, such fires could have been prevented by following standard safety procedures and resolving mechanical issues in a timely manner. Over the last few years, there have been numerous reports of infections, viruses, and diseases spread among cruise ship passengers. The most notable among these is the norovirus, outbreaks of which have been reported on more 20 cruise ships over the past 20 years. 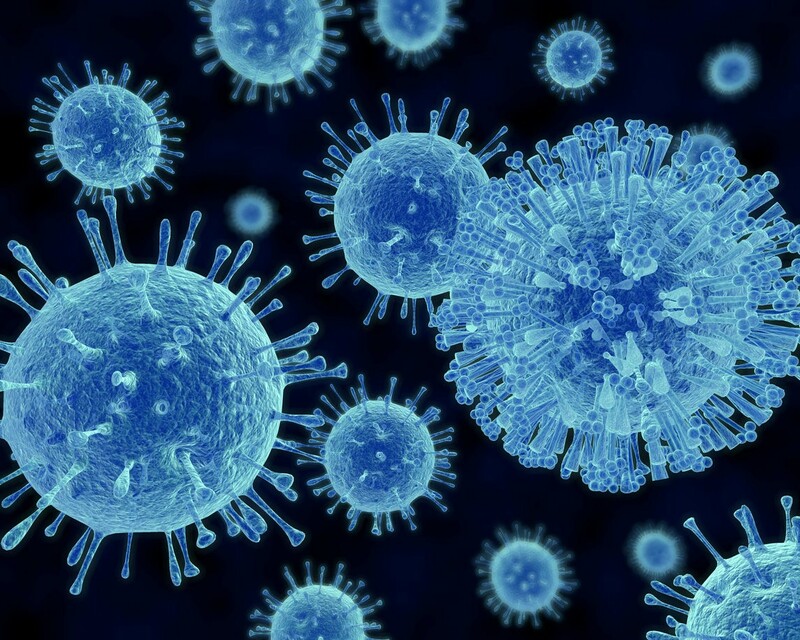 Infections, illnesses, and viruses like the norovirus can spread rapidly throughout a ship when ship conditions become unsanitary, or cruise lines do not take proper actions to contain the virus. Although cruise lines often market themselves as offering medical care aboard their ships, medical facilities, resources, and staff are often severely limited. Oftentimes, staff members are not even licensed to practice medicine in the US, and are provided with very basic equipment. For this reason, medical staff aboard ships often administer inadequate or shoddy treatments that can end up causing further harm. 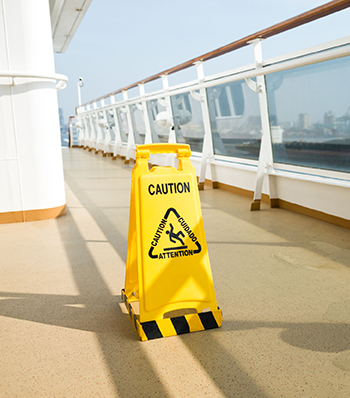 Slip and fall accidents are among the most common cruise ship accidents, often caused by slippery floors, wet decks, out-of-place objects, & improperly disposed of debris and trash. While some people are able to stand up & laugh after a slip and fall, others are not so lucky. 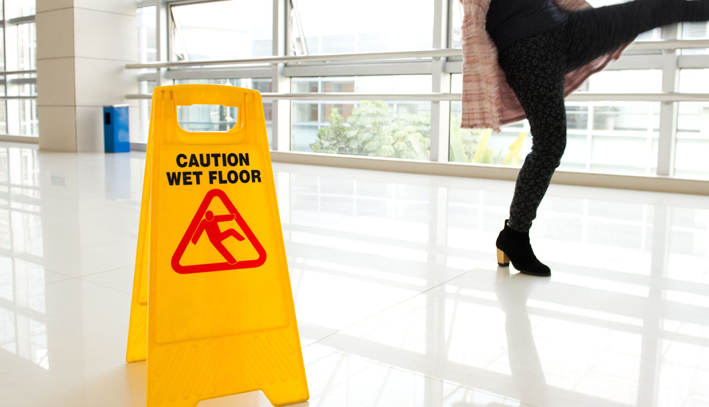 Slip and fall accidents are the leading cause of traumatic brain injury, and have been known to cause complications such as lacerations, fractured bones, and spinal cord damage. When passengers fall and seriously harm themselves, they are often unable to seek medical attention until the ship docks in the next port. Deaths aboard cruise ships are rare, but devastating occurrences. Cruise ship deaths often occur due to fires, overboard incidents, and drownings. Cruise ship injuries can be devastating, painful, and costly. Unfortunately, it can be very difficult to hold cruise lines accountable for your injuries. Cruise ships operate under maritime law, so many traditional personal injury laws do not apply to them. 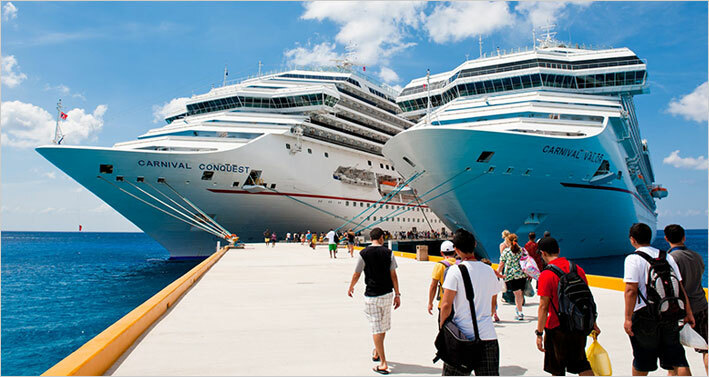 What is more, major cruise lines are often protected by a team of top lawyers and insurance companies. That is why it is essential to have an aggressive cruise ship accident attorney with experience in maritime law on your side. Your attorney can collect evidence you could not access on your own, and consult with experts and witnesses who can strengthen your case. If it becomes necessary to go to court, your attorney will fight to defend your right to the compensation you need for medical bills, lost wages, and overall pain and suffering. At Lawlor, White & Murphey, our cruise injury attorneys have been defending cruise ship passengers and employees for more than 40 years. We believe that all cruise accident victims should have access to the medical treatment and support they need to recover, and are not afraid to go up against even the largest cruise lines. Let us help you & your family get the compensation you need to recover & move on with your life. Initial consultations are always free of charge, and if you decide to work with us, you will not pay us a cent until you recover fair compensation.